It's all about hard edges-meets-femininity with this slim belt by WCM. 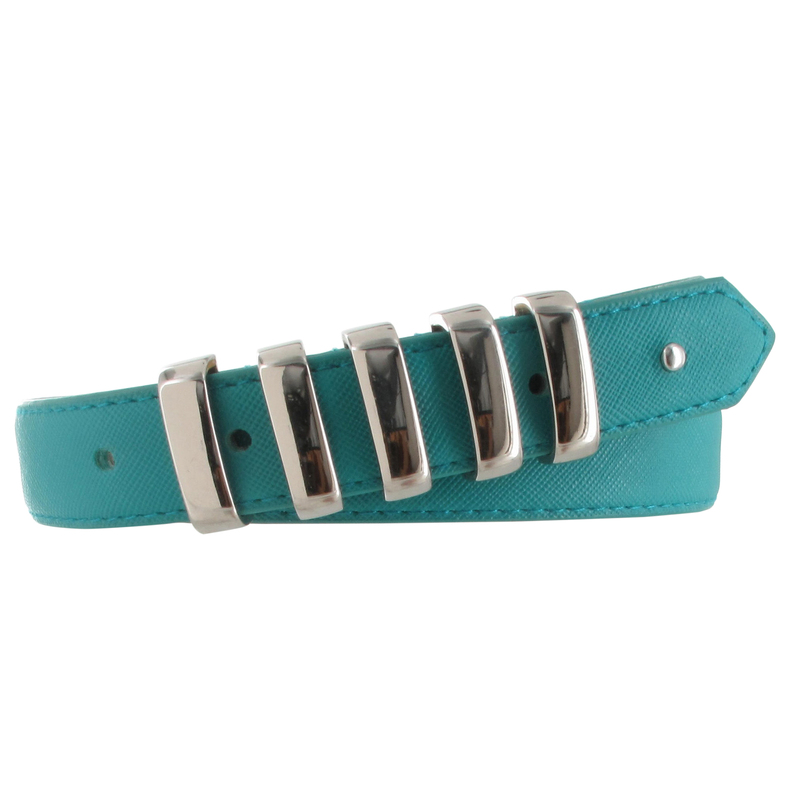 Get a punk but flirty look with a turquoise color belt made of faux textured blue-green leather with genuine leather lining. The chunky links add a cool, post-modern look to this versatile women's belt. Faux leather with genuine leather lining.